Mother's Day is coming up in just a few weeks and a homemade gift will always make a mom feel extra special. Here are five cute & creative gifts kids can help make for their moms or grandmothers. 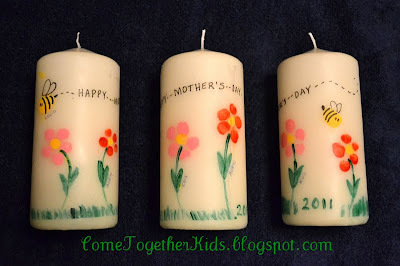 Going along with the Fingerprint Candles are these two cute Springtime projects using handprints and footprints. 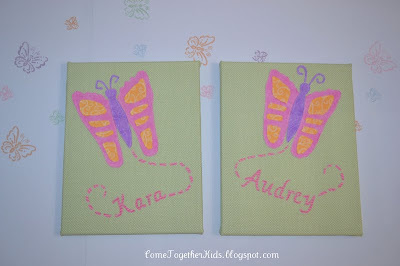 We made ours for our own home using fabric on canvases, but they can easily be adapted and created using pretty paper or even paint. 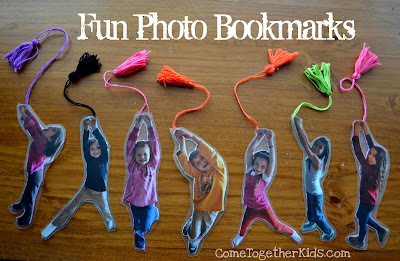 If you know a mom who likes to read, these photo bookmarks would make a great gift. Let the kids have fun posing and then make up a few bookmarks to tuck in the pages of a new book or to go along with a gift card. 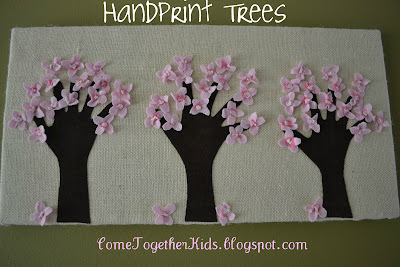 Last year the kids and I had making several projects using glue batik. (see the projects HERE and HERE). 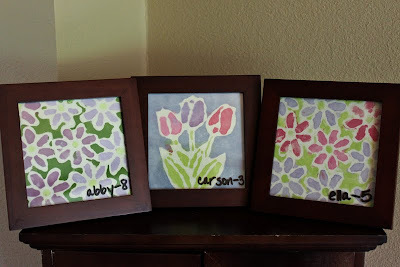 One of my readers was inspired by our projects and made her own glue batik pictures, put them in frames and gave them as gifts. This Valentine's Day gift was a huge hit with my kids and we're having lots of fun doing something special each month. 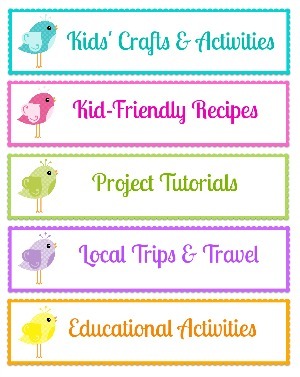 I'm sure any mom or grandmom would love knowing they can scratch off a new activity to do each month. I hope you found some creative inspiration with these 5 cute gift ideas. I also hope if you choose to make any of them you have as much fun as we did. 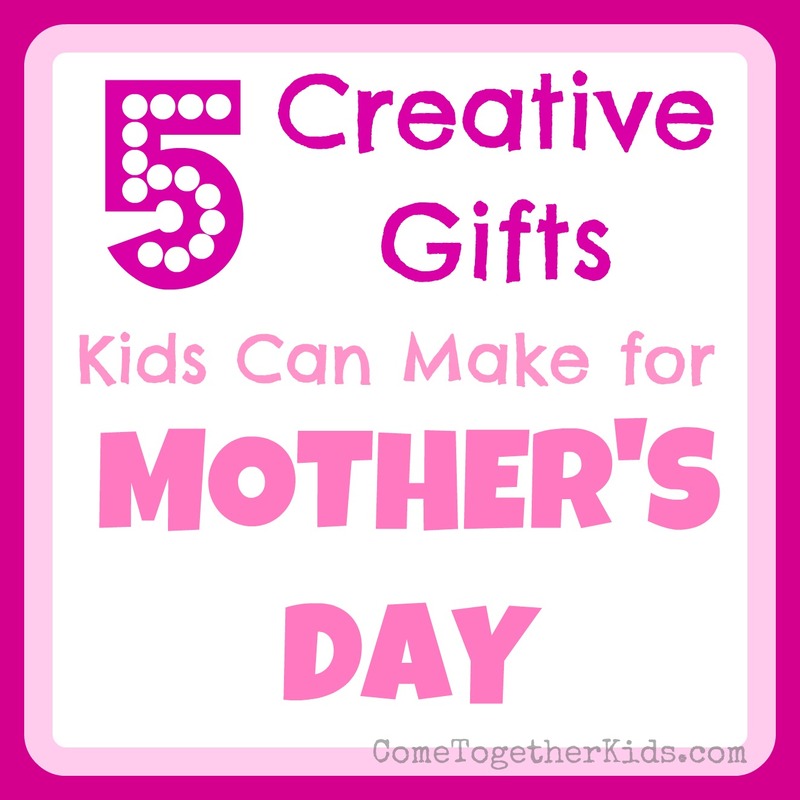 I'm sure any mom who receives one of these homemade gifts will be thrilled to get something specially made by the kids in her life. Another trip we took over Spring Break was to the Herr's potato chip factory in Nottingham, Pennsylvania. It's a real, working factory making all sorts of chips and snacks and the tours are FREE! It's about an hour north of Baltimore and an hour south of Philadelphia, so it would be a fun side trip if you're near either of those cities. Nope, my son didn't suddenly turn into a girl. The tours are free (woo hoo!) but they recommend calling ahead or registering online since they can only accommodate a certain number of people at a time. Our tour started with a short movie about the history of the company and then we had a tour guide lead our group of about 25 people through the factory. Cameras aren't allowed inside the factory itself (you can see a few pictures here) but on the day we went we were able to see them making pretzels, corn chips, popcorn and potato chips. You're usually just feet away from the big machines and conveyor belts (usually behind glass). The kids and I loved watching everything being sliced, mixed and packaged up. Our tour guide also told us some interesting tidbits ~ like the fact that the snacks that fall onto the floor during the packaging process are fed to cows on a nearby farm! 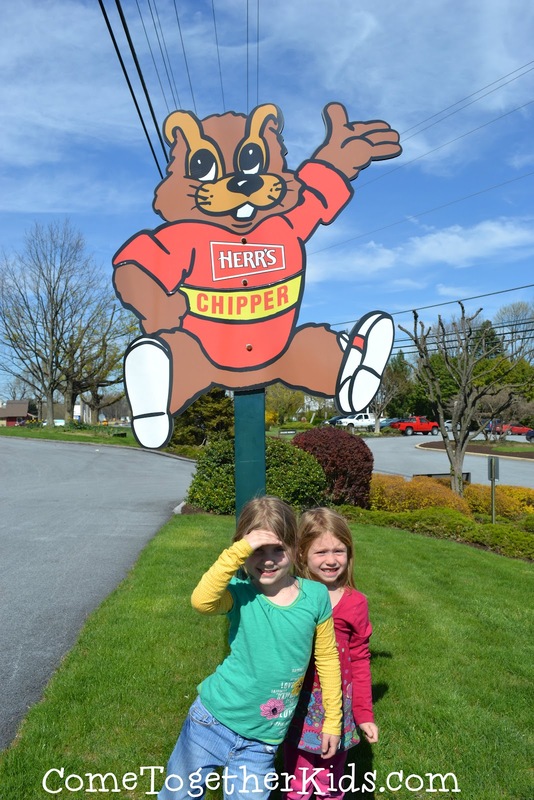 After we watched and learned about them making the potato chips, our tour guide went out onto the production line and scooped up a tray of still-warm chips that we got to sample (HUGE hit with the kids!). At the end of the tour, we all also got a free snack size bag of chips (and lots of regular sized snack foods in all sizes available for purchase). The whole tour lasted about an hour. On the day we went, we stopped first at Annie's Playground to play and have a picnic lunch, but there's a cafe/snack bar there at the factory if you wanted to eat before or after your tour. I've known about this Herr's factory for years (maybe from a Girl Scout trip ages ago), but when I was in the gift shop I saw this book with all sorts of factory and company tours from all over the country. It looked to be really informative, telling the cost, about the tours (like whether it was the actual factory or just a demonstration), etc. 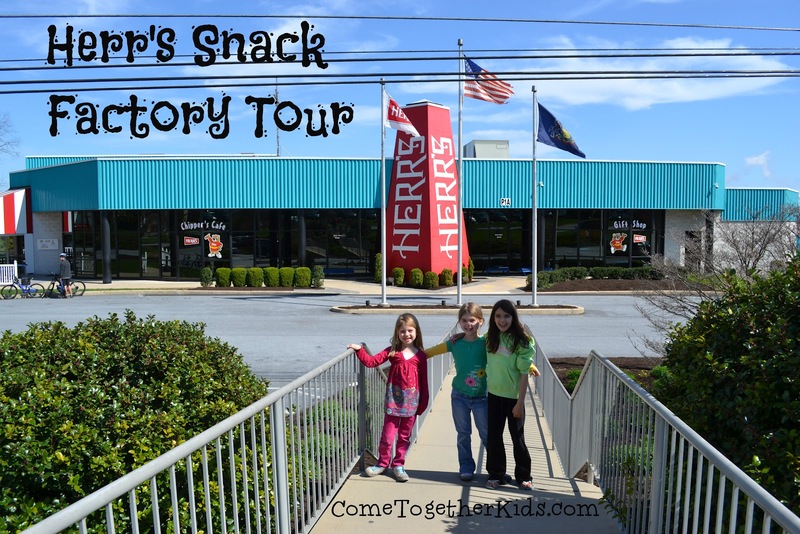 Even if you're not here on the East Coast and able to check out this potato chip factory, I'd definitely recommend seeing if there is a similar tour near you ~ the kids and I loved it and it was a great way to take a look at all that's involved behind the scenes. 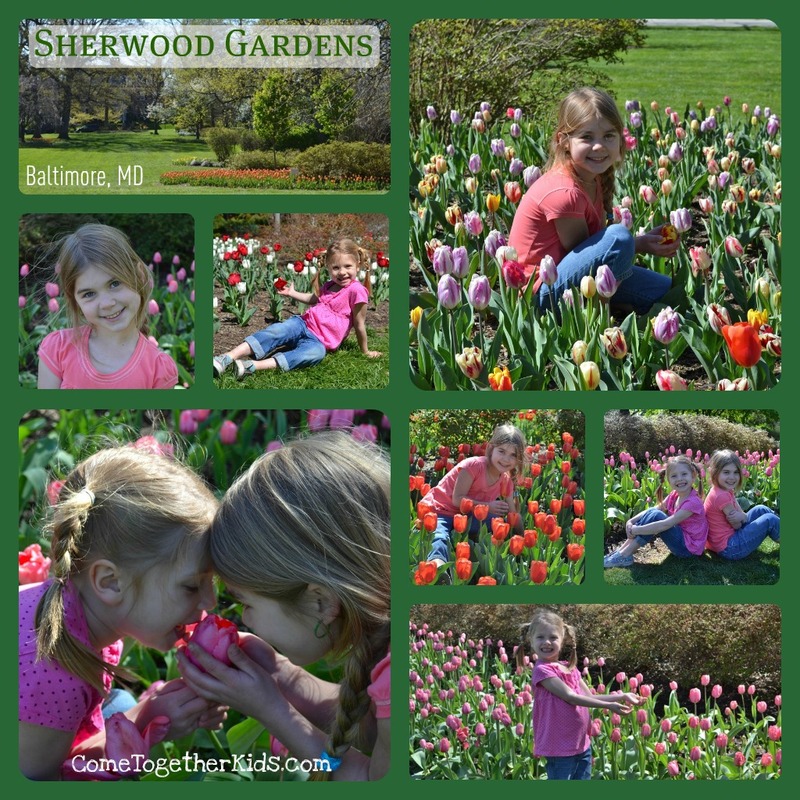 Every year since the kids were babies, we've welcomed Spring with a visit to the beautiful Sherwood Gardens in Baltimore, MD. 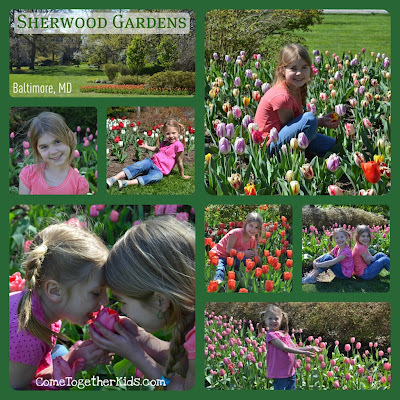 The gardens are nestled among the stately old mansions in the Guilford section of Baltimore City and it's free to the public. 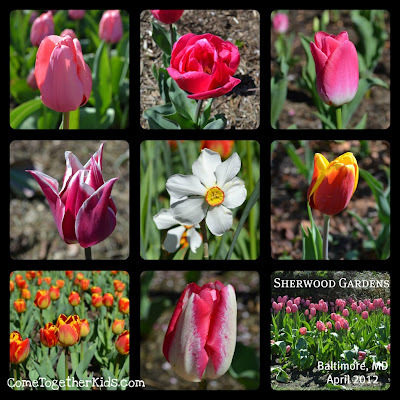 Each year, nearly 80,000 tulip bulbs are in bloom as well as gorgeous azaleas and dogwood trees. If you're ever in the Baltimore area this time of year, definitely go check it out. 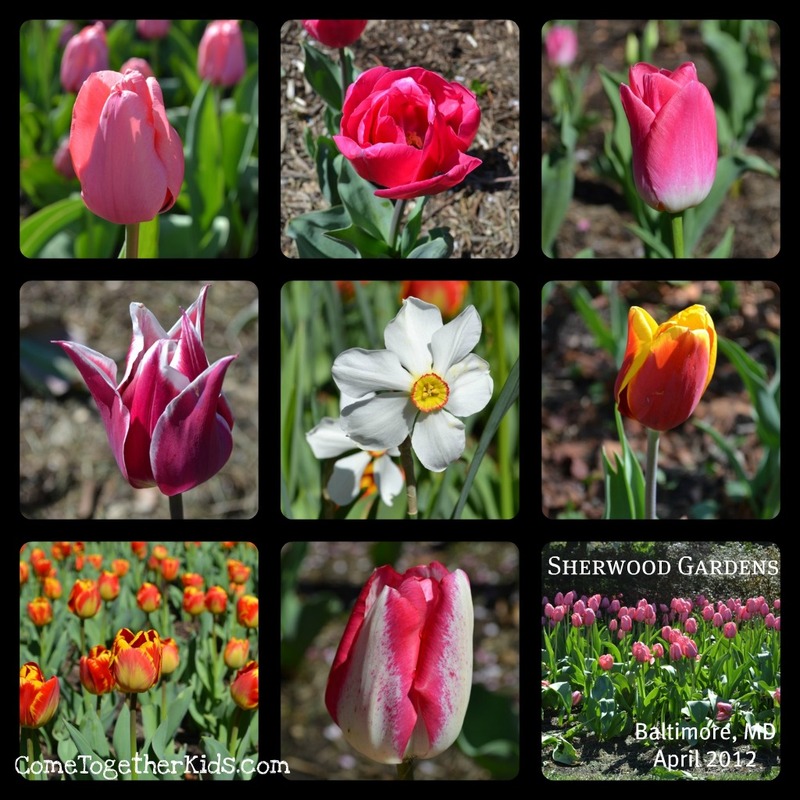 There are many different varieties of tulips that are planted, so the blooms last for several weeks. Directions and more details can be found HERE. Here's just a few of the many, many pictures I took during the couple hours we were there. Hope you have the chance to welcome Spring in your area as well. My kids are off on Spring Break right now and we'll be doing several Easter-themed projects and activities this week. However, since there's often a lag between us doing the projects and me having time to post about the projects, I thought I'd first share these fun activities that we did last year. 1. What's better than marshmallow peeps and chocolate? Only marshmallow peeps DIPPED in chocolate! They're really yummy and the kids loved adding spring-colored sprinkles. Here's how we made them ~ Chocolate Covered Peeps. 6. 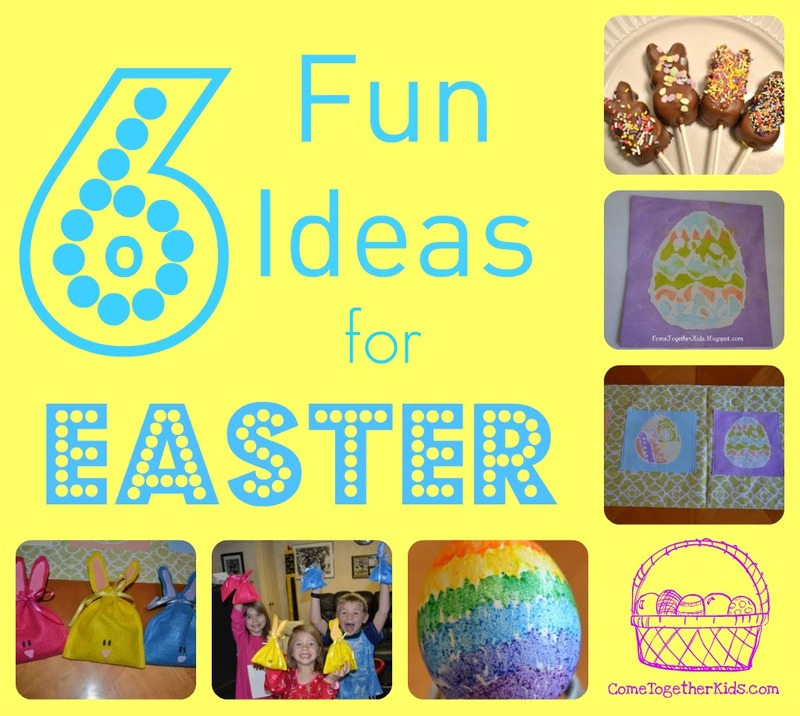 For a fun twist on egg decorating, color on warm eggs with crayon. The wax melts onto the egg to make the colors even more vibrant. Check it out ~ Melted Crayon Easter Eggs. 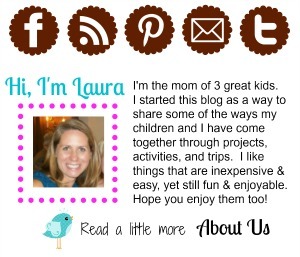 I hope you found some fun ideas that you might want to try with your kids this year. Look forward to some more Easter related posts coming soon as we do them!